Rush-No-More RV RV Resort and Campground is the perfect name for this beautiful, peaceful, quiet campground located 20 miles west of Rapid City, South Dakota. At one mile off Interstate 90, exit 37 one would never know it – it is so peaceful. The sites are spacious and the full hookups are easily accessible. 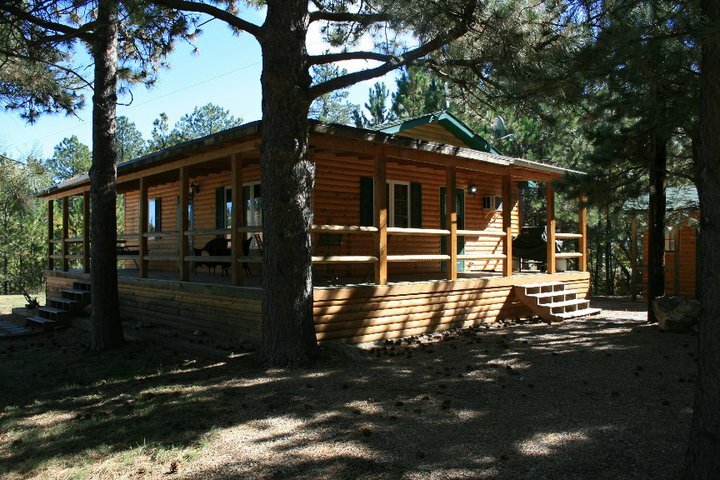 Some sites are more secluded and there are even a few with paved patio areas and a hot-tub! The grounds are very clean and neat, as is the pool, laundry and the cabins. This would be a great place to stay whether for one day or one week. We stayed one week and felt at home from the time we arrived. The owner was very accomadating, giving us a ride around the campground to make sure we were satisfied with our site location. The drive we had to the various tourist attractions in this area was well worth it to be able to come home each nite to such a beautiful place.